Individually and with co-author/husband Evan, Ann Maxwell has written seventy novels and one work of non-fiction. There are 30 million copies of these books in print, as well as reprints in 30 foreign languages. These novels range from science fiction to historical fiction, from romance to mystery to suspense. Writing as Ann Maxwell, she began her career in 1975 with a science fiction novel, Change. Since then, seven of her nine science fiction novels have been recommended for the Science Fiction Writers of America Nebula Award; A Dead God Dancing was nominated for what was then-called TABA (The American Book Award). In 1976 Ann and Evan (as A. E. Maxwell) collaborated with a Norwegian hunter and photographer, Ivar Ruud, on The Year-Long Day, a nonfiction work about Ruud’s life as a trapper and hunter in the Arctic Circle. The book was later condensed in Reader’s Digest and published in four foreign editions and three book club editions. In 1985, Just Another Day in Paradise, was published by Doubleday. It was the first of eight A. E. Maxwell crime novels, featuring couple Fiddler and Fiora faced with mysteries in the shade of sunny southern California. The second book, The Frog and the Scorpion, received a creative writing award from the University of California. The fourth book in the series, Just Enough Light to Kill, was named by Time Magazine as one of the best crime novels of 1988. Ann and Evan (writing as Ann Maxwell) have published four suspense novels, the most recent of which is Shadow and Silk. These novels appeared on nation-wide bestseller lists and are considered groundbreaking in the field of romantic suspense, which she helped innovate. In 1982, Ann began publishing romance novels as Elizabeth Lowell. 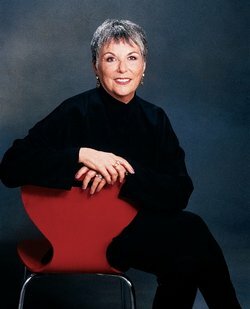 Under that name she has received numerous professional awards in the romance field, including a Lifetime Achievement award from the Romance Writers of America in 1994. She has written both contemporary and historical romances as well as western romance. Since July of 1992, she has had more than thirty novels on the New York Times bestseller list, as well as other national and international bestseller lists. The series of novels featuring the unforgettable Donovan family—Amber Beach, Jade Island, Pearl Cove and Midnight in Ruby Bayou have won acclaim as some of her best romance novels. Her most recent romantic suspense is Night Diver. Her newest romance novel, Perfect Touch, will be released in 2015 by William Morrow. You can connect with Ann on Facebook or Google+.